As many of you can tell, I consider myself to be an avid outdoorsman... I also consider myself to be an avid family man. When push comes to shove, there is no question where I would be opening morning of elk season if my family needed me I would be right at home. As I wrote in an earlier post, I believe that the concept of finding a balance between hunting and spending time with your family is absolutely obscured and shouldn't even be debated let alone questioned by fathers and husbands. Our families should ALWAYS get priority over hunting. 1) - Sleep - Anyone who has (or has had) kids knows how important sleep is. Anyone who has or has had a baby/young child also knows that solid nights of sleep can be hard to come by. Between kids wanting daddy to scare away monsters to sick kids (or teething babies) keeping your up all night, kids really cut into your quality of sleep. However this is a blessing when you are able to get away and go hunting especially when it is longer than just a day trip. I know that for me, it doesn't matter if you put me right on top of a pile of lava rock, I would bet that I could sleep solidly through the night as long as a crying baby wasn't within hearing distance! I have heard some hunters complain about how they slept horrible and couldn't get comfortable and therefore had a miserable hunt the next day. My suggestion to them is to have a few kids and then they will sleep like a rock while hunting over night! 2) - Training - I have a few buddies who are quite committed to their off season training/workouts. 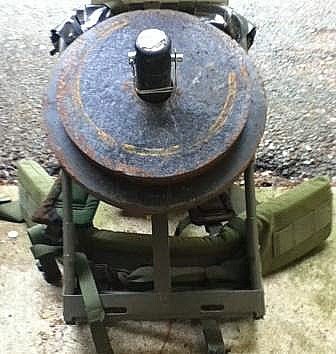 One buddy of mine throws on 100 pounds onto his pack frame and walks around up in the mountains to get his legs and endurance strengthened before hunting season. Even though I may not get out as much as some of my other hunting buddies to "work out" in the mountains packing around 100+ pounds, my work out involves strapping a toddler into a child carry backpack and maneuvering through the woods. I try to get out as much as possible and I try to take my kids with me whenever I do. Having a child carry backpack helps me train for hunting season by packing the weight of the child and their 100+ pounds of snacks, clothes, bottles, goodies, etc. that they have to bring... which leads me to my next point. 3) - Preparation - When you have kids, you know that even a trip to the grocery store can turn into a disaster if you don't have certain items with you. Because of this, even if you are only going across town, you have "the bag" that has everything you may EVER possible need plus a few extras just in case! This helps you be a better hunter because you will now be in a habit to pack some items that you may have otherwise not even thought about. Your hunting buddies will be more than happy to invite you to hunting camp because they know when you are around they will not have to result to less sophisticated ways of hygiene in those unanticipated situations. Just like with kids, make sure these items are easily accessible in your back. Also the snacks and goodies that you will tend to bring will often be a mixture between hunting food and "things laying around the house" which tend to be a bit more flavorful than some of the alternatives. Between baby wipes and gold fish crackers, the items you randomly find in your vehicle may come in handy one day! 4) - Patience - Patience is KEY to hunting and to parenting. Neither task goes well if patience is worn thin or wears out. Kids, as cute as they are, will definitely teach you patience in NUMEROUS ways which will make your next spot and stalk seem like a walk in the park! 5) - Finding skills - Lets be honest. You cannot be a mom or dad without decent finding skills. When you have a two year old little girl who has a favorite ring that she got out of a quarter machine which she insists that she wear EVERY NIGHT to go to sleep.... yeah... you get pretty good at finding things. Just like my daughter's favorite ring, which matches the color of our carpet quite well, many of the items I am looking for while hunting blend in quite well to their surroundings. Learning to look for the smallest little clue that may lead you in the right direction will help you tremendously while hunting. 6) - Sneakiness - I don't know if this one is just a personal item for my wife and I, but I feel that it has helped me be a better hunter while raising my kids. It doesn't matter if it is sneaking ice cream into the house after going to the grocery store, sneaking out of the kids room after you finally got them to sleep, or sneaking a bite of their treat when they aren't looking... as a parent, you take your sneaking skill to a whole new level. I have see a direct correlation between my skills at home and my skills in the mountains. I look for the just the right moment when the animal looks the other way before I pull back or before I take another step closer. As much as this post is aimed at making people chuckle, I do feel that being a parent does help you be a better hunter. Having a family and putting them first may mean that you sacrifice time you could spend outdoors to be with them, but the time with them is more than worth it. Yeah you may not get out as much, kill the biggest deer/elk of the season, but you will be a provider in more ways than just putting meat in the freezer. If the ONLY thing your kids/family needed was food then this may be a different story, but they need a dad and a father MUCH more than they need you to fill that tag this year. If you have anything to add to this list or post, funny or serious, please make a comment below! Alright this is a pretty simple post but I just wanted to write and say how excited I am to start offering some hats with my logo on them. I am selling these hats at the cost it takes me to have them made just because I am not trying to be a "clothing" or hat company. I just want to get my blog advertised through some cool gear. If the selection options confuse you please let me know and I will see what I can do. 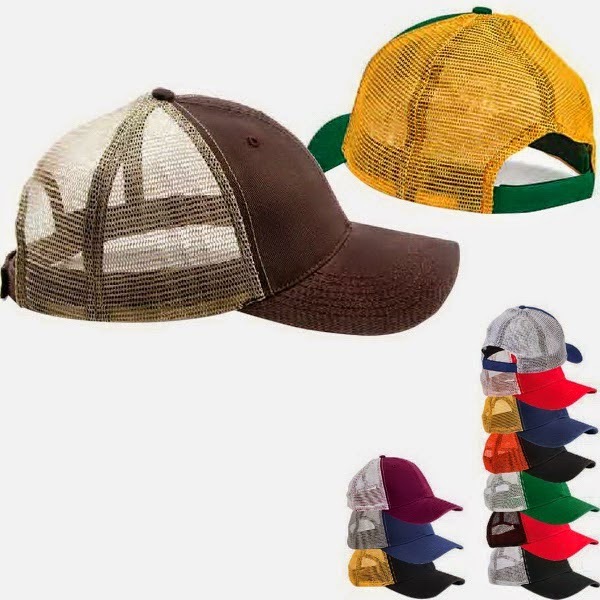 PayPal only lets me have a certain number of drop down items per category so I am unable to list all of the color combo options on the "Trucker Style" hats. 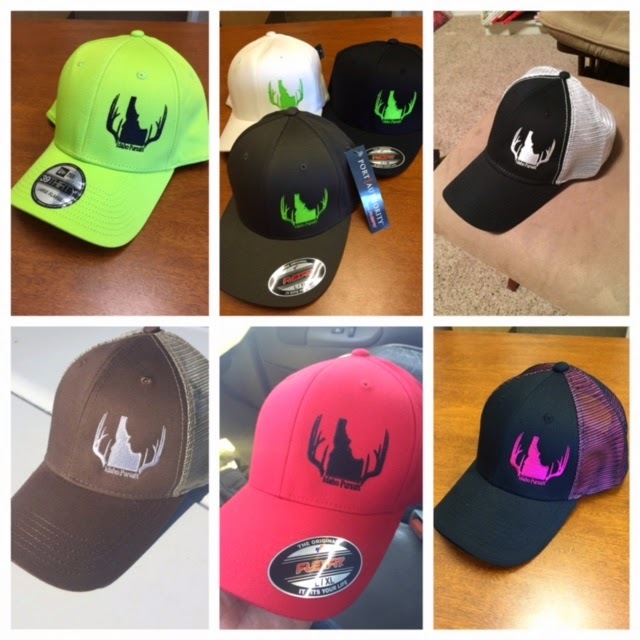 If you order a trucker style hat please specify in the order form what your color selection is to make sure we get your order correct. Seems how I am not rich nor am I a clothing company, I will receive your order, contact the company making the hats the next day and I should have your hat sent out to you in less than a week. If you want any other type of hat or color combo you can email me at kjones2626@gmail.com and I can check into your option and let you know if it is possible. Once again I just want to say thanks for all of the support and please if you have any questions let me know and I will do what I can to answer them. 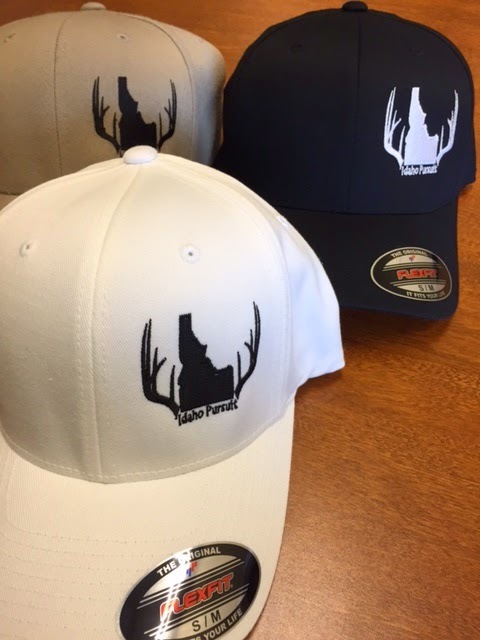 We will be doing a few giveaways with some of these hats later on so keep checking back! I don't claim to know much about bow fishing, but what I do know is that if you haven't tried it you need to give it a shot (pun intended). I have only been bow fishing 4 times and each time I go I inevitably come to love it that much more. The first trip I went on was an absolute failure just because I had no idea what I was doing, where I was going, or even what I would do when I got there. Sooo... To help some folks out who may be like me and have to teach yourself the in's and out's of bow fishing I thought I would share a few things. 1st - Just like any type of hunting (yes I consider it hunting) it is important to do some pre-hunt scouting. Just like you would do if you were thinking about on any other outdoors adventure you have never been on, ask a few people that you know have "been there done that". Be respectful and don't ask for specifics as far as where to go and so forth but ask them for some tips and advice. Call the wildlife management in your are and ask them where outdoors men typically go for bow fishing adventure, they won't hesitate to tell you where the good spots are. Once you know where you may go, take time to get to know the area and where the fish are at certain times of the day. 2nd - Make sure you have a plan, DO NOT be the person who goes and shoots 50 carp and then leave them all on the bank or in the water just because you don't know what you are going to do with them... Carp can be used for numerous different things such as bear bait, fish bait, or even fertilizer. If you don't have a plan or don't know what you will do with them, I strongly encourage you not to go bow fishing or at least take a bucket, cooler, or something to take them home with you and dispose of them appropriately. 3rd - Take the right gear. You will want to make sure you have gear that you won't mind if it gets wet, muddy, and fishy. Another important thing to remember is that you are going to be spending quite a bit of time "glassing" just like any other hunt, looking for the animal you are after. In the situation of bow fishing you will want to make sure you have a good pair of sun glasses as well as other gear to protect you from the sun. If you don't take the right gear, it won't be long until you are sun burnt to the point of discomfort and your eyes will ache for days afterwards. 4th - Know were to look. Just like any other animal, fish don't typically like to sit out in the open. Look in weed beds, cattails, and any other form of cover to find good numbers of carp. Yes you will be able to find a few her and there just swimming around in the open, but if you want to find the numbers and the size of fish that make bow fishing fun, get to the spots where the fish thrive. 5th - Have fun. I will admit, once I finally got a shot at a carp, I was quickly frustrated that I kept missing. Aiming at fish in the water, with a solid fiberglass arrow and string definitely takes some adjusting to get used to and can be easily frustrating, but remember that you are out there to have fun. I have been bow fishing with family, friends, and by myself and no matter how many fish I was able to shoot, it was always much more fun when I was with someone else. Take a buddy or a family member with you and remember to have fun! Bow fishing is a great way to spend time outdoors, help control the number of invasive species of fish, and help maintain healthy water ways. If you haven't tried bow fishing and want to give it a shot, I hope these few tips will come in handy. If you are ever in my area and want to give it a try just get a hold of me and if I'm free, I'm always up to shoot a few trash fish! For me 3D archery shoots are a lot of fun! I enjoy getting out and surrounding myself with avid outdoors men and flinging a few arrows at some targets. A couple weeks ago I went to my first archery shoot of 2015 with my brother and sister in law and I had a few thoughts I thought and tips I would share which helped me during the shoot. 1st - Aim Small Miss Small - With no surprise, this well know adage can help a lot when shooting your bow. At 3D archery shoots I am usually with my friends and family and the archery soon becomes 2nd best as I am able to build friendships and relationships with those I love, but no matter what I need to remember that practice doesn't make perfect... perfect practice makes perfect! To take a few more seconds prior to pulling back to pick out a small spot you want to aim at will help your accuracy dramatically! I use my Hawke Optics to pick a spot to aim at! 2nd - Visualize - Yeah that's right... I'm not saying you need to be the type of person who pretends to be hunting the animal and sneak up to the target before you shoot it, but if you take a moment to visualize the target as a real animal and a real situation then the intensity and focus is likely to follow! Visualizing the situation you may/hope to see yourself in this fall can prepare you mentally to not have "buck fever" as bad when/if you are lucky enough to find yourself there. 3rd - Don't Get Discouraged - Just as I've described in an earlier post, many of the shots at a 3D archery shoot can be pretty questionable. Some of the shots have debris in the way, difficult angles, or may even be unethical. If you don't shoot every target right where you want or think you should, don't get discouraged and start to hang your head. Remember that you are out there to have fun and to get better. 4th - Take It Home - One big thing that I feel is important, is to not rely solely on sponsored archery shoots to get you ready for the season! Practice, practice, practice... Take your gear home and shoot your bow! Make sure every piece of your gear is functioning exactly how it should and make sure you shoot your bow more than the 30-40 times once a month at an archery shoot. I know some of my friends and family have been guilty of putting their bow away at the end of archery season and never picking it up again until the next season... I am plenty guilty of not practicing as much as I should and this is the area I am focusing on this spring/summer to become a better archery/hunter. These were just four of the quick tips and thoughts I had while I was at the archery shoot the other weekend. I thought they would be good to share with those who follow my blog and, like me, want to become a better archer. I have other goals I have set for myself on the off season that I feel I will share in another post. If you have any tips, pointers, advice, or questions about 3D shoots or archery practice please share them in the comments and lets help each other get better! Be sure to check out my video I made at the archery shoot the other weekend! I was spending more time thinking about camera shots than I was about arrow placement... Ignore my poor shooting!